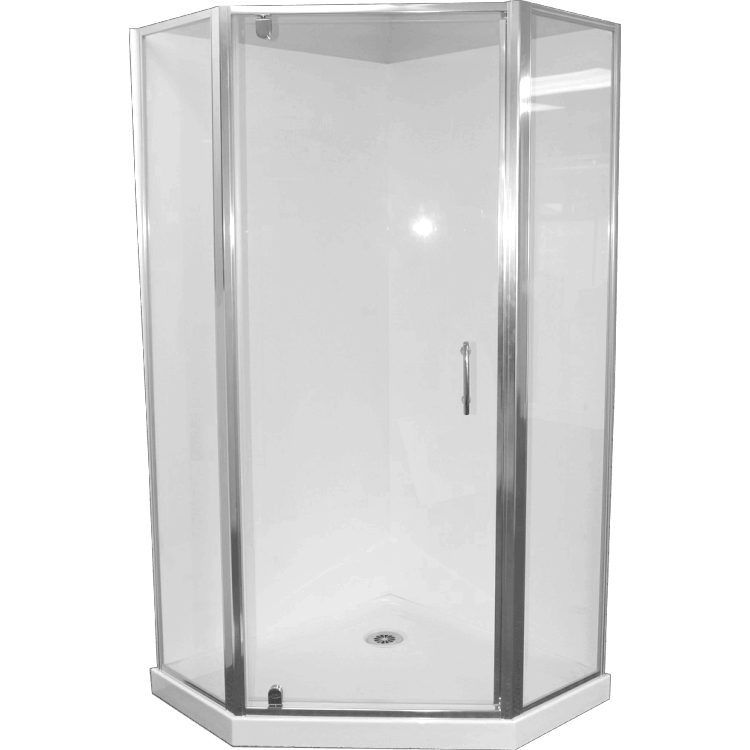 Shower Door Corner Pentagon, these doors are suitable for corner showers with 45deg trays. Also known as Pentagon showers. 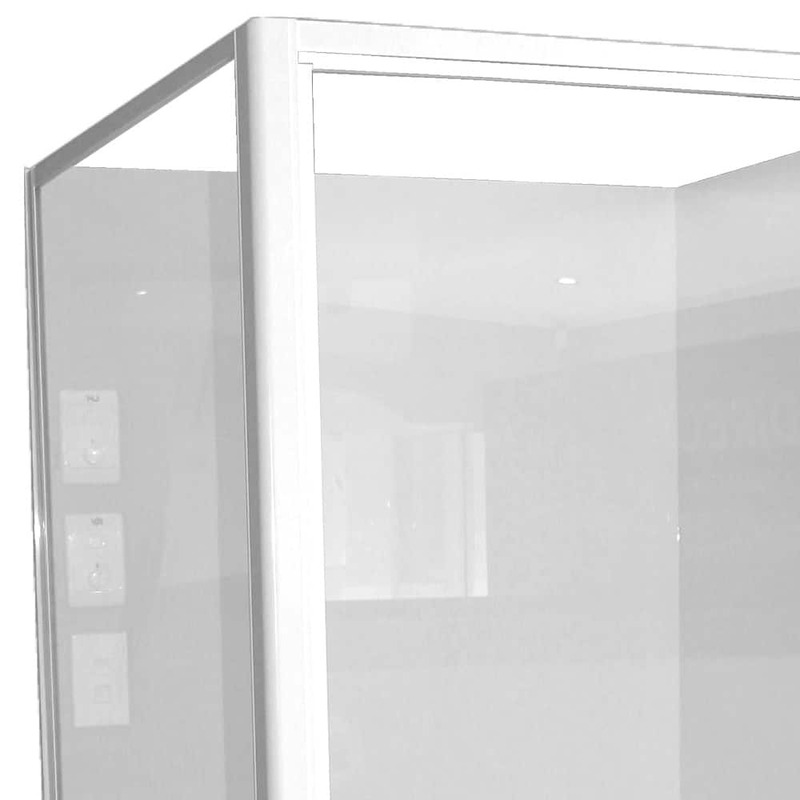 The pivoting door glass is made from 6mm toughened safety glass manufactured and tested to comply with New Zealand safety standards. 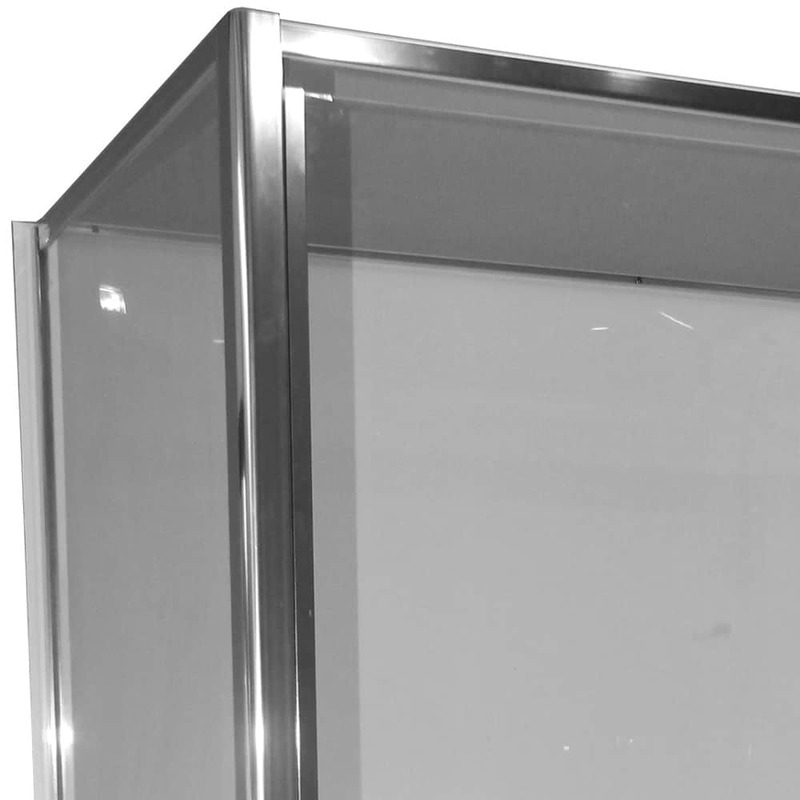 The Standard is NZ/AS 2208.1996 safety glazing standards for shower screens. 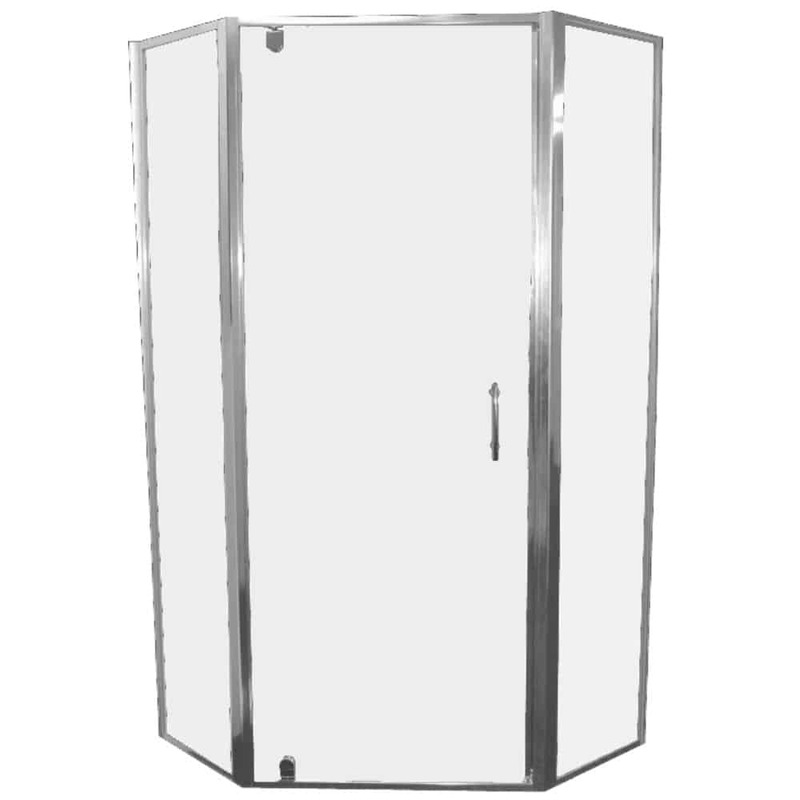 Available in 900mm and 1000mm sizes. *Note only includes the door, does not including liner or tray. Concider looking at the complete Shower that uses the shower door corner pentagon. Also available are the Shower trays the Shower liners and complete shower.